Before we started our business operation, we made sure that we complied to all the legal Philippine business requirements. This is our way of showing professionalism and commitment in the small food industry that we are in, and to give assurance to all our customers that the products and delicious steamed siomai you are getting are safe and legitimate. Registering a small food business in the Philippines is not really that hard as our government agencies and offices have always been trying of minimizing long procedures. So this blog post tackles the basic steps and requirements on registering a small business, particularly for a sole proprietorship. 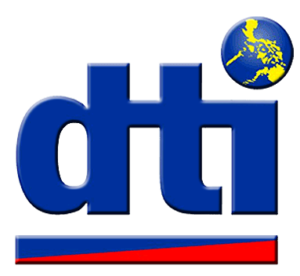 The first in this four-part series, is registering your business name in the Department of Trade and Industry (DTI). Below are the very simple steps and the requirements, based from our experience in registering Teodirico’s Steamed Siomai in Lapu Lapu City, Cebu. Before you start your operation, you need to have a unique and descriptive name of your business. 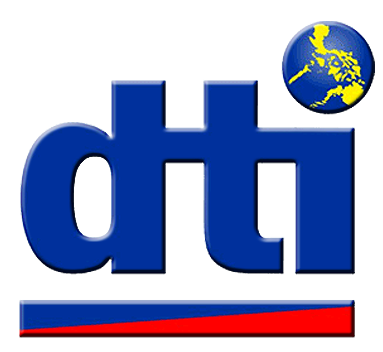 You can go to http://www.bnrs.dti.gov.ph/web/guest/search and try searching to know if your business name is already taken. If it is not yet taken, you can apply for that name. Depending on the “Scope” of your business. We registered it as “Regional” so we paid P1000 fee. In our case, we brought a Voter’s ID. Go to your nearest DTI Office. When you enter the office, you will be asked by the reception staff on what you are applying for, so just say you will be registering a new business. You will be given a form which you need to completely fill-out. Critical info you will supply, is you need to give three (3) variations of your business name just in case there are already existing record of the name of your first choice. Variations like, if your first choice is “XYZ Sari-Sari Store”, you can have “XYZ Convenience Store” or “XYZ Suki Store” as your other options. A business name should also be descriptive. They do not allow non-descriptive business names that do not describe the nature of the business. So you cannot just register “Teodirico’s”; but you need to register “Teodirico’s Steamed Siomai” or similar variations. You will also be asked to get a photocopy of your IDs. If you don’t have that yet, there are photocopy stores nearby, outside of the office. Once completely filled out, just give back the form to the staff from Step 2, and you will be guided to submit the form to which teller. You will be submitting your form to the assigned teller and you will just wait for your name to be called. Once called, they will start validating your name business name to check if they pass the requirements. If the name passes, you will then be required to pay the amount based on the “scope” of your business. We paid P1000 for the “Regional” scope. You will be paying the amount at the cashier window. After payment, you will then submit the receipt back to the teller from Step 5. The teller will then start printing your DTI Business Registration certificate. That’s it! Congratulations! You have already registered your business name at the DTI and you are now ready to the next step: Applying for a Barangay Business Permit. Previous Post:I Heart Teodirico’s T-Shirts… FREE! Next Post:Teodirico’s Siomai Recipe, Revealed!